Top quality! Unlike my prior stainless sink, this one has little lines pointing to the drain hole so that water is focused on draining. 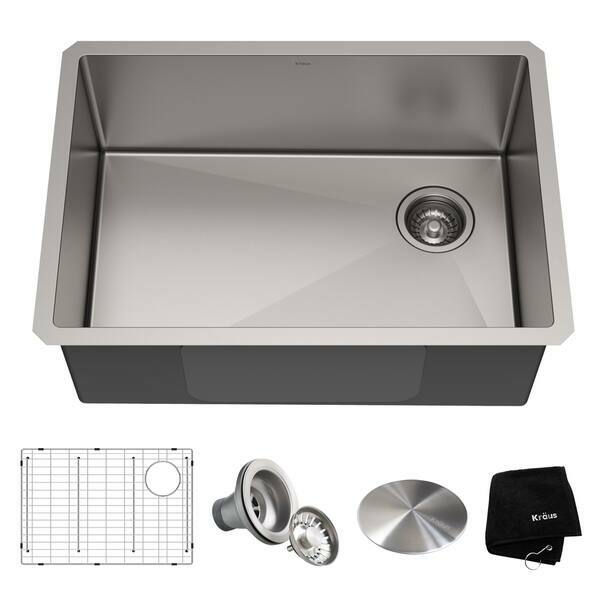 OUTER SINK DIMENSIONS: 27 in. L x 19 in. W x 10 in. D; Minimum Cabinet Size: 30 in. Dimensions 27.0 In. X 19.0 In. X 10.0 In. "We have a garbage disposal. Will this deep sink with the drain in the corner work with a disposal? It looks like there will not be space."